Hello, my name is Ema Kilroy. I love to create and creating lampwork beads is my passion. I began lampworking in 2005 and have been immersed in beads ever since. I specialize in unique, one of a kind focal beads. 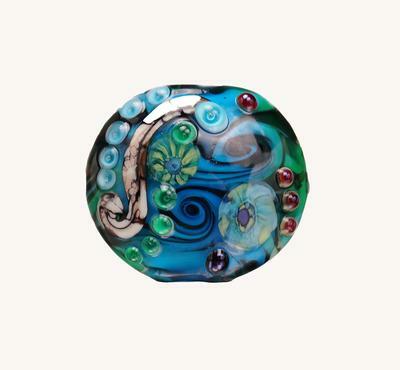 The perfect bead to become the focal point of your jewelry design. I have been involved in art all my life. I graduated with a degree in accounting and worked in that field for many years. As my children have grown I have decided to let my creative spirit thrive and pursue my living by creating. I create in a variety of mediums. 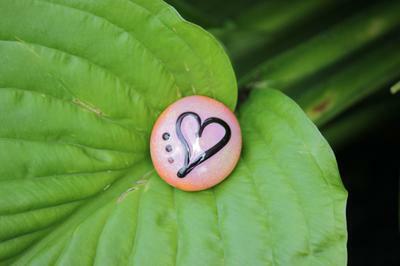 I enjoying quilting, weaving, painting on canvas, photography and of course lampwork beads and jewelry. My main creative outlet is in the area of lampwork beads and jewelry but once in a while I have to move outside of this medium to refresh my muse. I live in Central Massachusetts with my husband of 23 years, my three sons and my always by my side yellow lab hound dog. I work from home with a jewelry design studio in my office area and a lampwork studio in my basement. You can find Ema K Designs on the web. I am open to your design ideas, feel free to contact me for custom orders. Thanks for taking the time to read my story and join me on this wonderful creative journey. Thank you Debi for this honor. Join in and write your own page! It's easy to do. How? 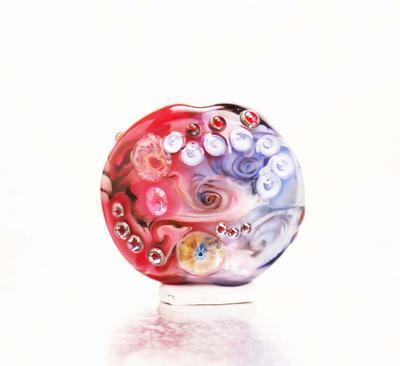 Simply click here to return to Lampwork Glass Artists.